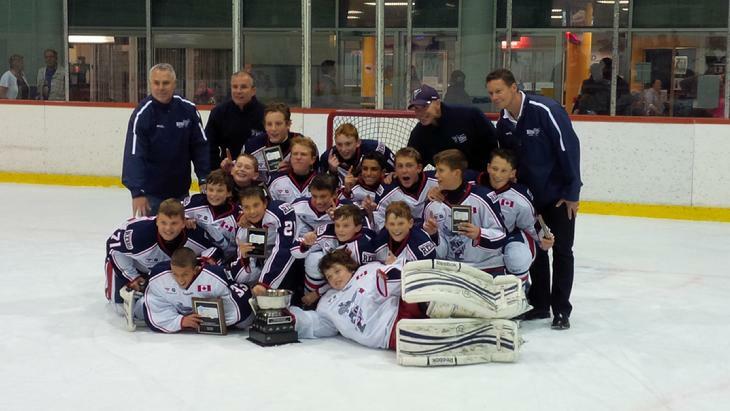 Mississauga Rebels Atom team went undefeated in the Oshawa AAA Challenge Tournament, and took home gold! 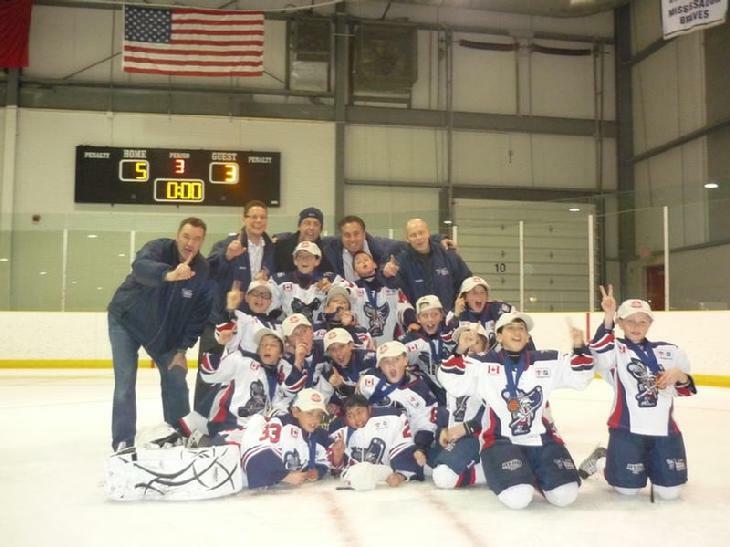 MINOR ATOM REBELS WIN ROCHESTER MONARCHS BATTLE ROYALE - SEPT 15-17. Thanks to the Rochester Monarchs for hosting the tournament. Rebels 2004 were front and centre at the start line. 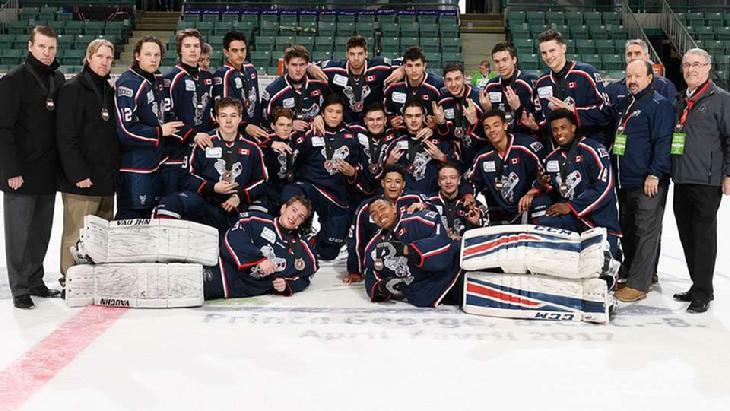 Josh Eisfeld made 40 saves in his first start of the tournament, Evan Benwell had a goal and an assist, and the Mississauga Rebels topped the Regina Pat Canadians to win the bronze medal at the 2017 TELUS Cup. Congratulations to Goaltender Christian Purboo for being named top goalie at the Telus Cup. 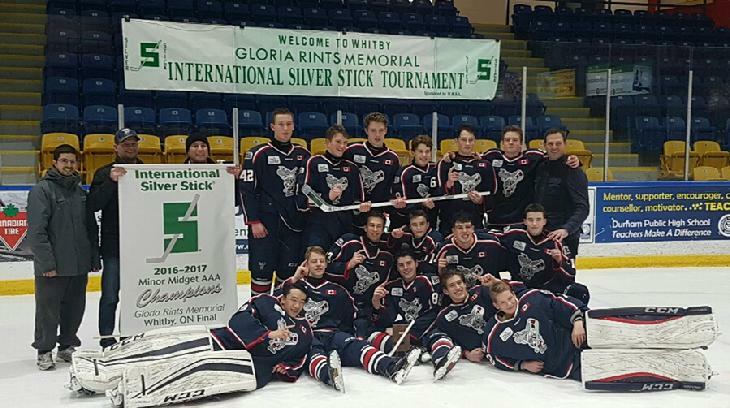 The Minor Midget Rebels successfully won the Gloria Rints Memorial International Silver Stick with a 5-2 victory over the Toronto Marlboro�s. 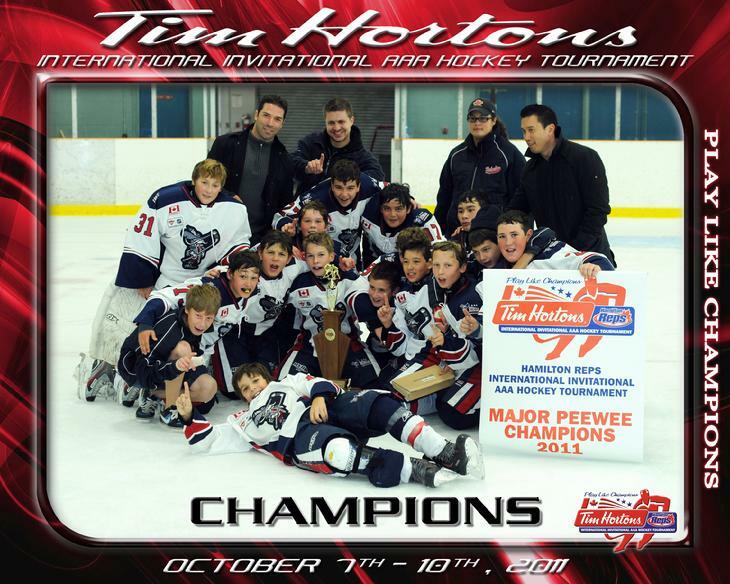 The International Silver Stick featured teams from across North America and is one of the high profile tournaments of the Minor Midget campaign. To capture this title, the Rebels seized overtime victories in the quarter finals and semi-finals and finished the tournament undefeated. Congratulations to the graduating class of the 2000 Rebels. 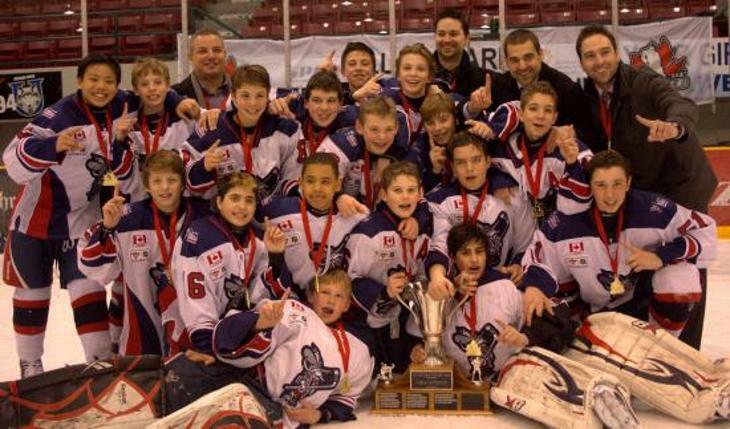 Below is the link to Coaches Corner and Don Cherry’s acknowledgement of the 2000 Rebels team that has won 7 straight GTHL Championships. 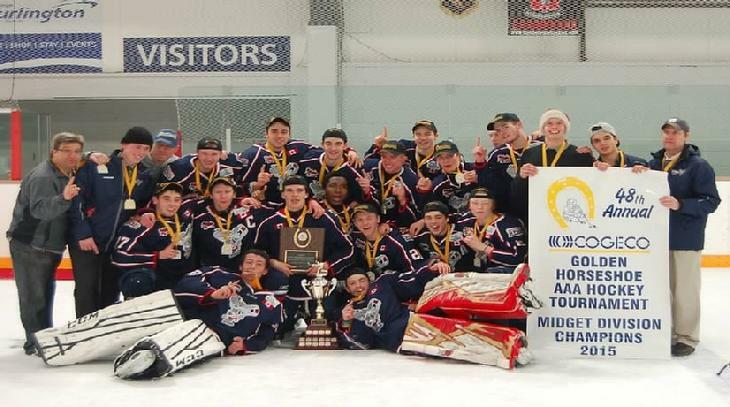 The Mississauga Rebels Minor Midget Team led all Ontario and OHL Zone US Minor Midget Teams this year with fifteen (15) players selected in the 2016 OHL Draft. Congratulations to the team, parents and especially the players. CONGRATULATIONS TO THE STAFF, PLAYERS AND PARENTS FOR AN AMAZING SEASON. 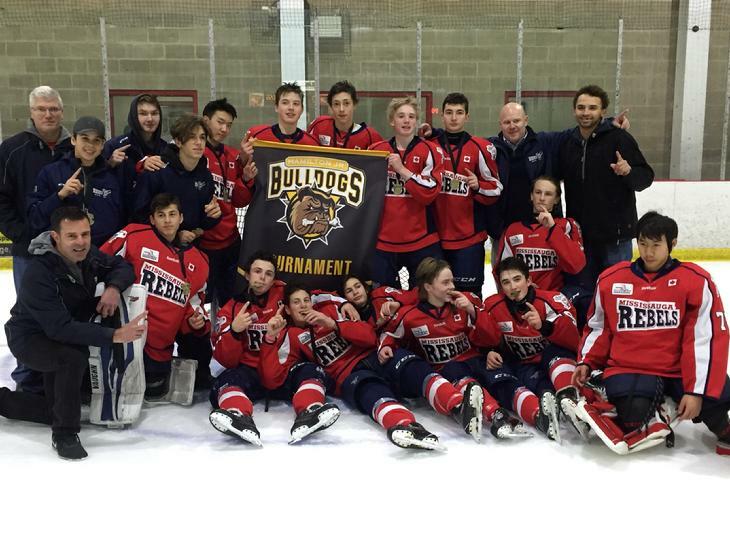 Midget Rebels Capture Burlington Golden Horsehoe Tournament defeating #1 provincially ranked Richmond Hill Coyotes, 6-1 in the finals. 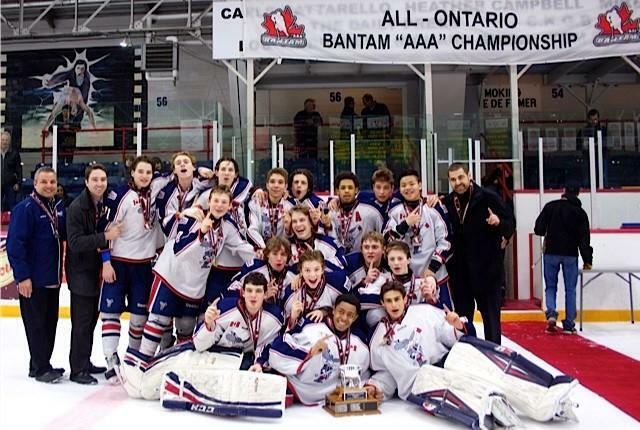 After winning the Kraft Cup in an extra game at the end of the season, the Bantam Rebels went undefeated in the Scotiabank playoffs, sweeping the Toronto Marlboros in four straight games in the finals. Best wishes to the team as they go on to represent the GTHL at the provincial championships, hosted by the NOHA in Timmins, Ontario from March 30 - April 4, 2015. 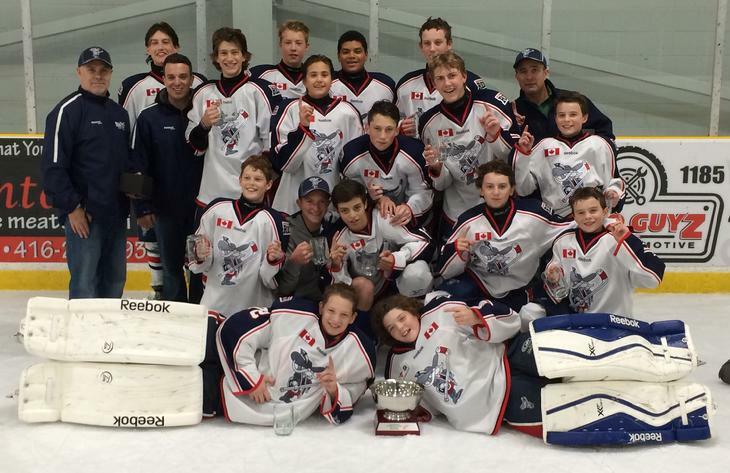 The Minor Bantam Team had a undefeated season, finishing with 30 wins, 0 losses, 3 ties. 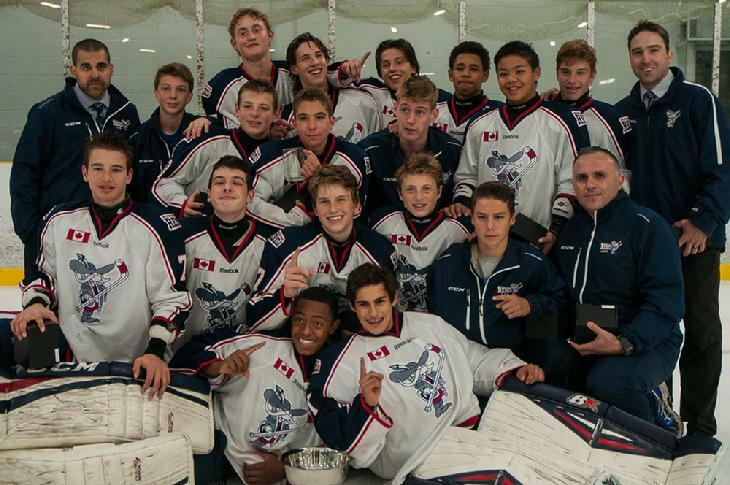 The Bantam Team won a tie breaker game (6-0) in order to finish ahead of the Toronto Red Wings for first place. Congratulations to all teams for another great year. 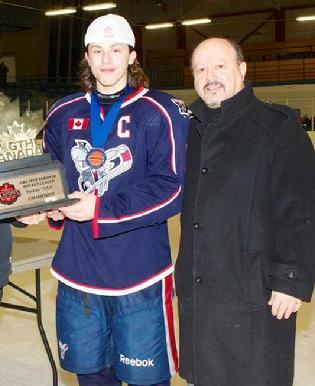 Assistant General Manager Frank Caruso and Mississauga Rebel Minor Bantam player accept the KRAFT CUP. 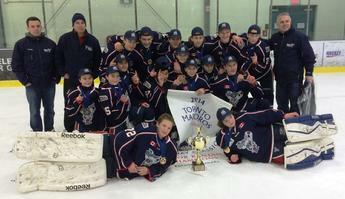 The Minor Bantam Mississauga Rebels won the prestigious Toronto Marlboros Christmas Classic Tournament by beating the Whitby Wildcats 5-2 in the finals. 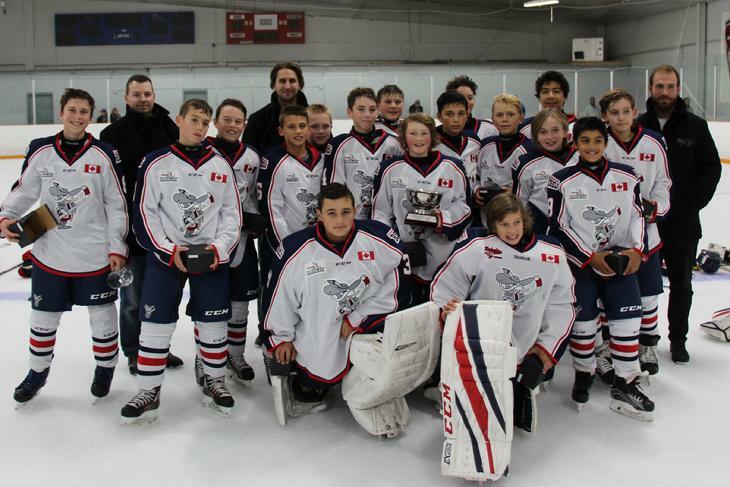 The tournament featured 33 minor bantam teams and all of the top 15 ranked teams in Ontario and several top teams from the US. 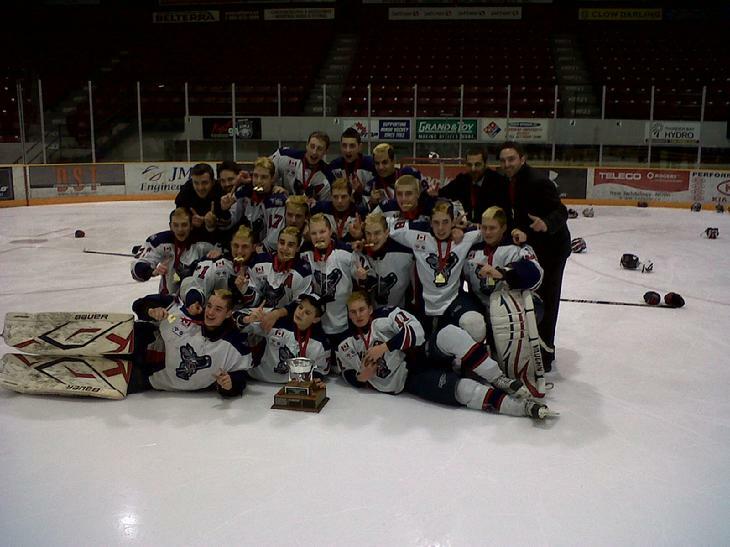 The Rebels won all 8 games of the five day tournament and finished the tournament with 52 goals for and only 7 against. Congratulations also to our Major Bantam Team that finished as finalists, and the Minor Midget Team that reached the quarter finals of the Marlies Holiday Classic. 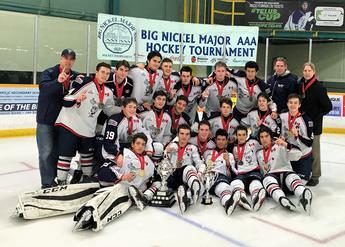 Minor Midget Rebels are runner-up in Toronto Titans Tournament. 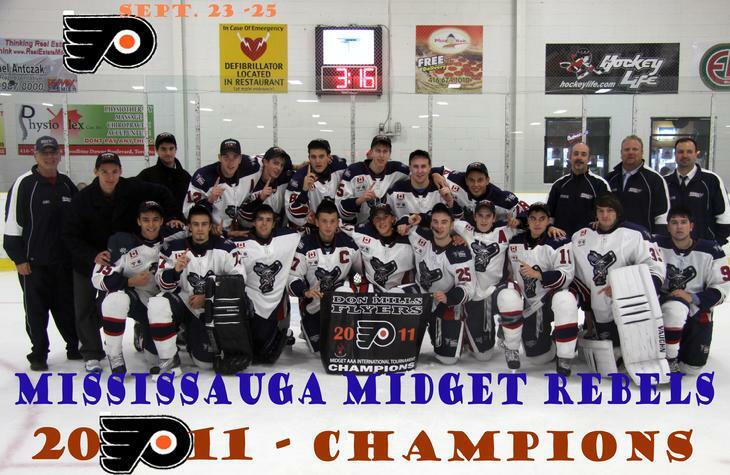 Don Mills Flyers won in a shootout. 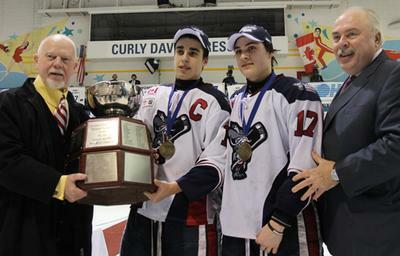 Robert Fabbri captained the Rebels to the 2012 OHL Cup final. This year he named OHL Playoff MVP and helped to guide the Guelph Storm to the Memorial Cup final. He was drafted in the first round (21st overall) by the St. Louis Blues. 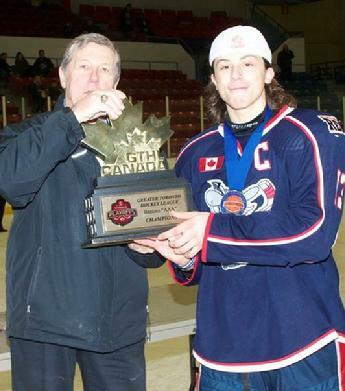 Michael Prapavessis, who was named the Ontario Junior Hockey League's top defenceman after guiding the Toronto Lakeshore Patriots to the league title and an appearance in the RBC Cup national championship, was taken in the fourth round by the Dallas Stars. Kyle Jenkins, after completing his first season with the Sault Ste. Marie Greyhounds, was drafted in the seventh and final round (187th overall) by the Carolina Hurricanes. Jake Evans was chosen in the seventh round by the Montreal Canadiens. The St. Michael's Buzzers forward was drafted 207th overall. 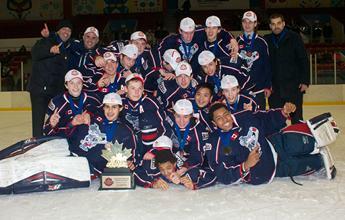 The Mississauga Rebels Minor Bantam Team captured the Toronto Marlboros Holiday Classic. The team outscored their opponents 39-10 and had 7 out of 8 possible wins in the tournament. The Rebels competed against the Marlies in the finals. These two teams have met a number of times in the last few years with each game providing a great display of skill and talent. 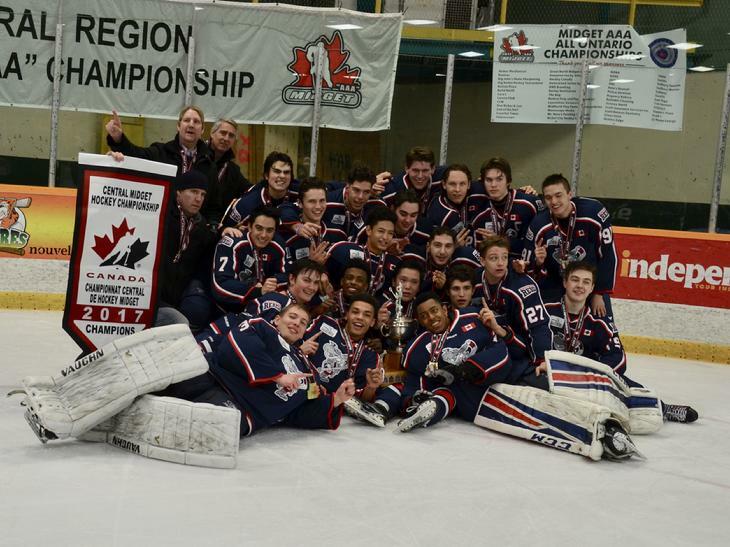 The finals resulted in another tight game with the final score in favour of the Mississauga Rebels, 2-1. 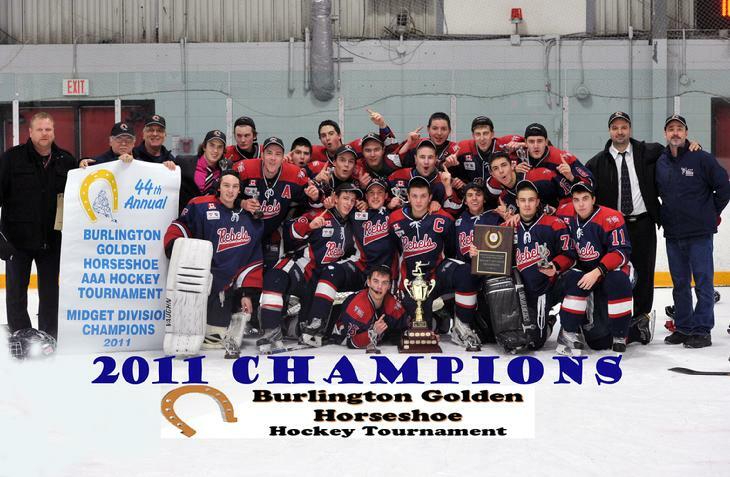 The Tournament featured some 150 teams in three divisions from Minor Bantam to Minor Midget. 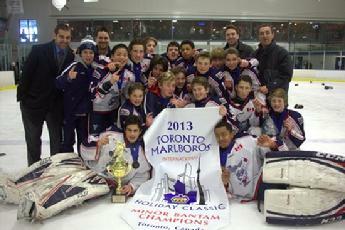 Congratulations also to the Bantam Rebels for making it to the semi-finals in their division of the Toronto Marlboros Holiday Classic. 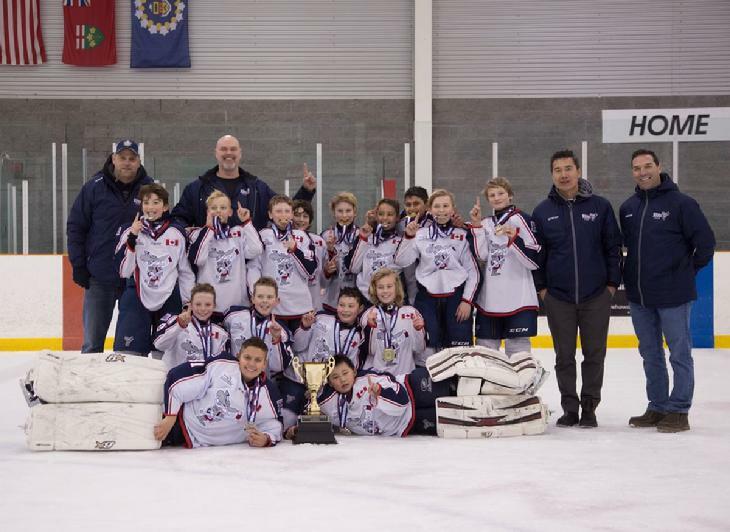 The Mississauga Rebels were selected to compete in the prestigious Bauer Challenge Cup Peewee AAA Hockey Championships at the Hershey Centre from Dec. 27-30. 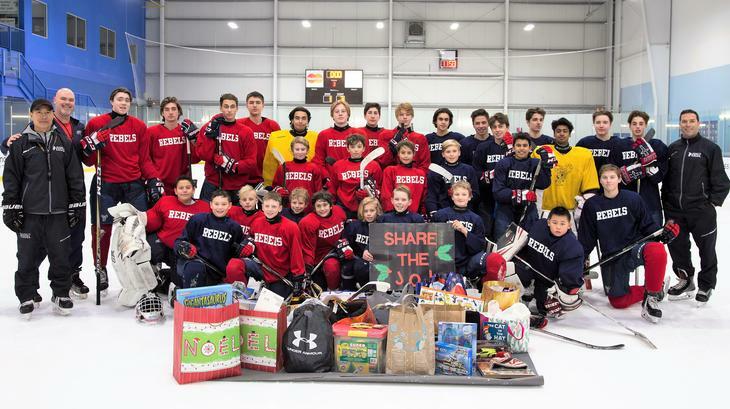 The Rebels were one of six Greater Toronto Hockey League teams and 20 squads from across North America that were invited to participate. 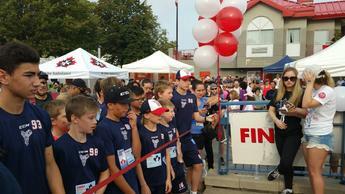 NHL stars such as Jason Spezza, Steven Stamkos and Patrick Kane have competed in previous Bauer Challenge Cups. 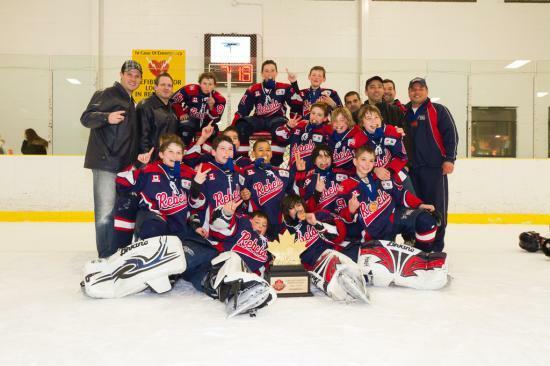 The Mississauga Rebels defeated the Toronto Marlboros 4-3 in double overtime to win the Bauer Challenge Cup Peewee AAA championship on December 30, 2012 at the Hershey Centre. The Rebels are currently in first place in the GTHL standings. Mississauga, ON - March 21, 2010 - The GTHL’s Mississauga Rebels are finally satisfied after capturing the 2010 OHL Cup Championship in a thrilling 2-1 victory over the heavily favoured Toronto Marlboros Sunday afternoon at the Hershey Centre. 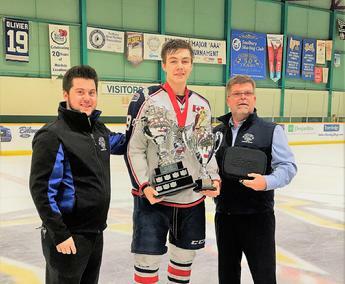 Sean Monahan capped off an impressive tournament for the Rebels with two points including the game-winning goal and took home the Tim Adams Memorial Trophy as the tournament’s Most Valuable Player. Monahan, the Rebels’ captain, led the tournament in scoring with seven goals and six assists for 13 points in seven games, including a five-point performance Sunday morning as Player of the Game in their 5-3 semi-final win over the TPH Thunder. 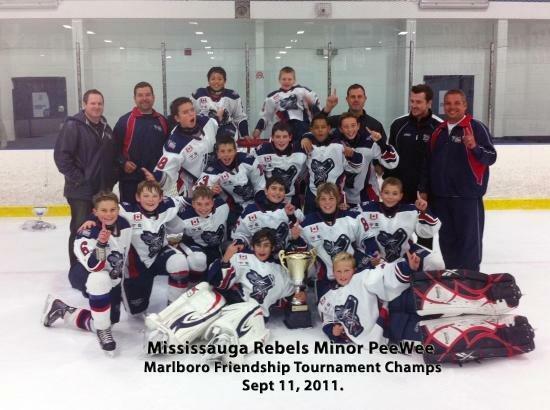 The Rebels entered the OHL Cup as a wildcard invite after losing to the Mississauga Reps in four straight quarter final games in the GTHL Playoffs. The Rebels went 2-1-1 in round-robin play which included a win over that same Reps team before knocking off the top-ranked Toronto Young Nationals 2-1 in Saturday’s overtime quarter final. 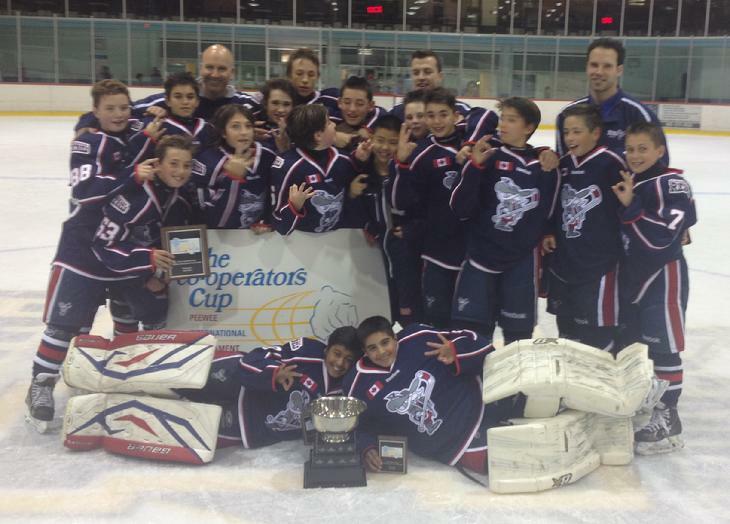 Today they faced a Marlies team in the finals they had not beaten all season. The Rebels seemed content to slow things down in the early stages of the game which didn’t see a goal until the 6:57 mark of the third period when Brett Gustavsen deflected a shot up high and over the glove of Jake Paterson for the 1-0 lead from Monahan and Patrick Piacentini. Monahan ripped a shot from the top of the circle to make it 2-0 at 10:16 of the third with an assist credited to Zachary Fung. The Marlies, who led the tournament with 22 goals in seven games, could only find one in this contest. After a late timeout and with an empty net, the Marlies' Kyle Soman roofed a shot from in close after taking a centering pass from Matia Marcantuoni with Matthew Finn also grabbing an assist at 14:19. Marcantuoni was a consistent offensive threat and was named Player of the Game for the Marlies finishing the tournament with five points in seven games. The Marlies outshot the Rebels 26-23 with Robert Adamo receiving Player of the Game honours for the second straight game for the Rebels with 25 saves. With the win, not only do the Rebels become the first wildcard team to win an OHL Cup, they showed the parity that exists between the top minor midget teams this tournament has to offer. 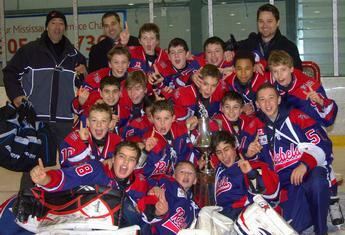 2010 MINOR BANTAM REBELS WIN GTHL Championship!! 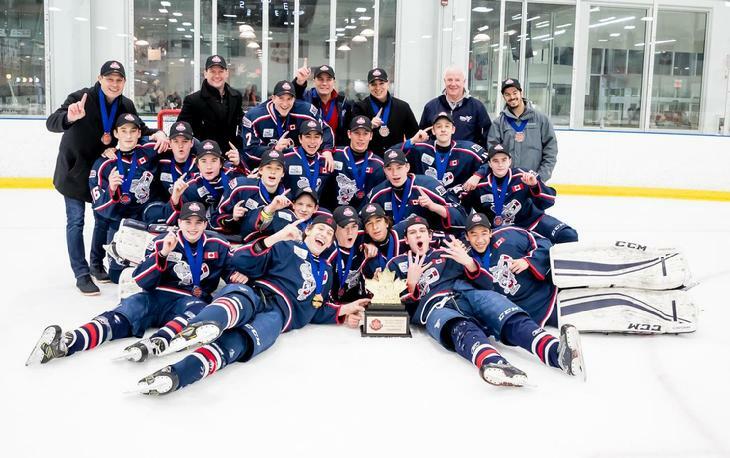 The Mississauga Rebels Minor Bantam team captured the GTHL championship on Monday, April 5th at Westwood arena with a thrilling come from behind 5-5 tie against the Toronto Marlboros in front of a boisterous near capacity crowd. Behind 5-3 in the last half of the 3rd period the Rebels staged a dramatic comeback to gut out another win over a game Marlies team. 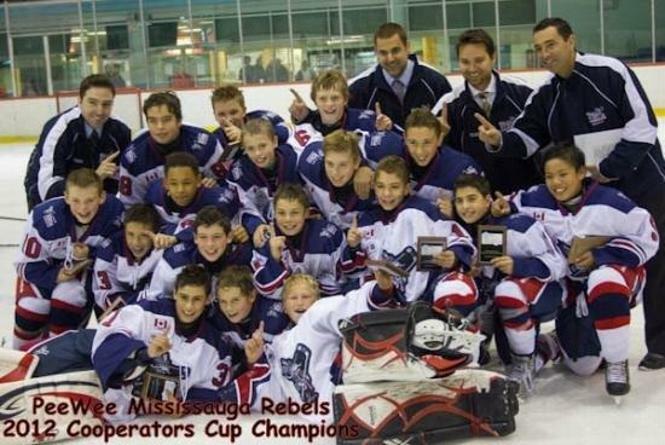 With the tie the #3 seeded Rebels won the championship final series 8 points to 4 against the #1 seeded Marlies. 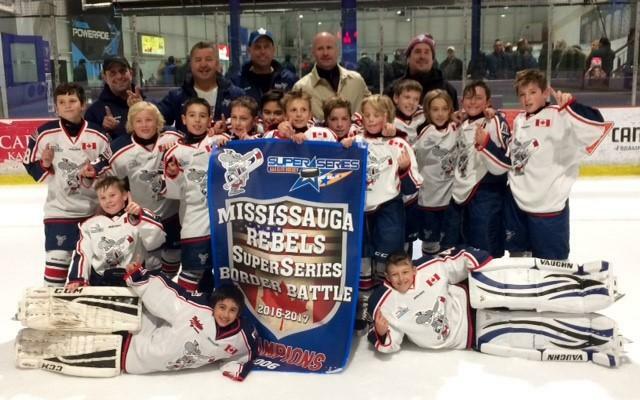 In the quarterfinals the Rebels bested the 6th seeded Mississauga Senators 8 points to 0 while in the semi-finals the Rebels defeated the #2 seeded Vaughan Kings 8 points to 6. Cudos to the Rebels coaching staff who stressed all year a team approach to playing the game which served them especially well in the playoffs. 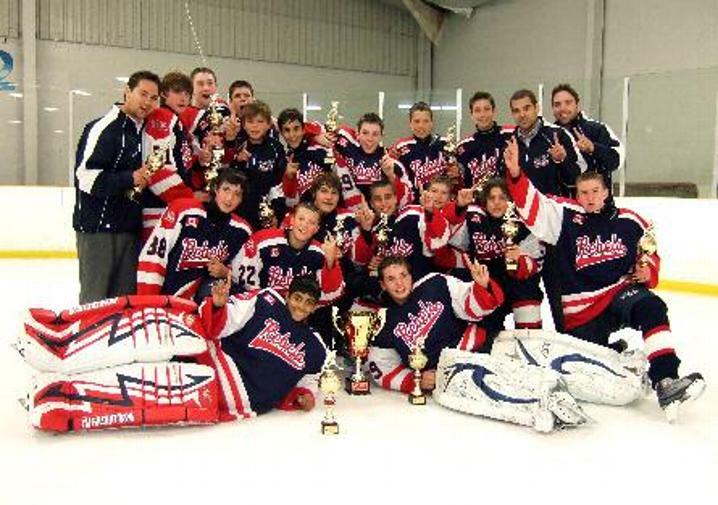 The Minor Bantam(1996) Mississauga Rebels went 7 and 0 to win the Toronto RedWings Early Bird Tournament. In the championship final which took place September 13th, the Minor Bantam Rebels bested their arch-rivals Toronto Marlboros 2 to 0. Throughout the tournament the Rebels were firing on all cylinders as evidenced by the fact that they outscored their opposition 39 to 5 in the 7 games. 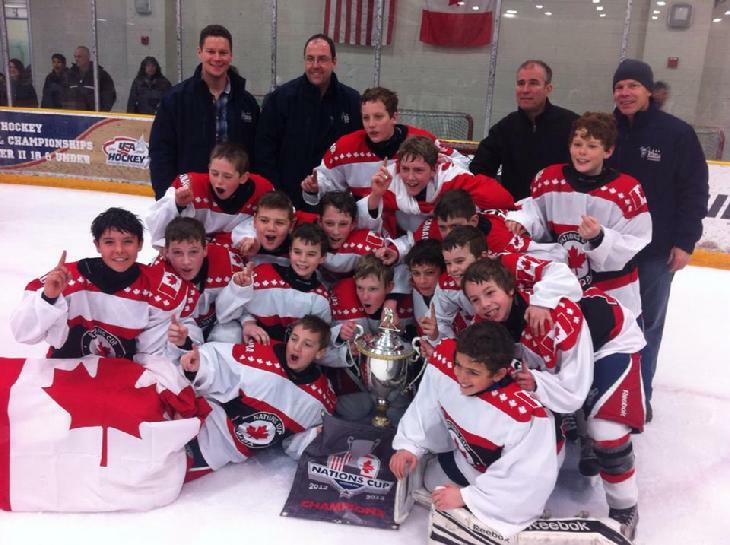 The Minor Atom Rebels won the Preston International Hockey Tournament. 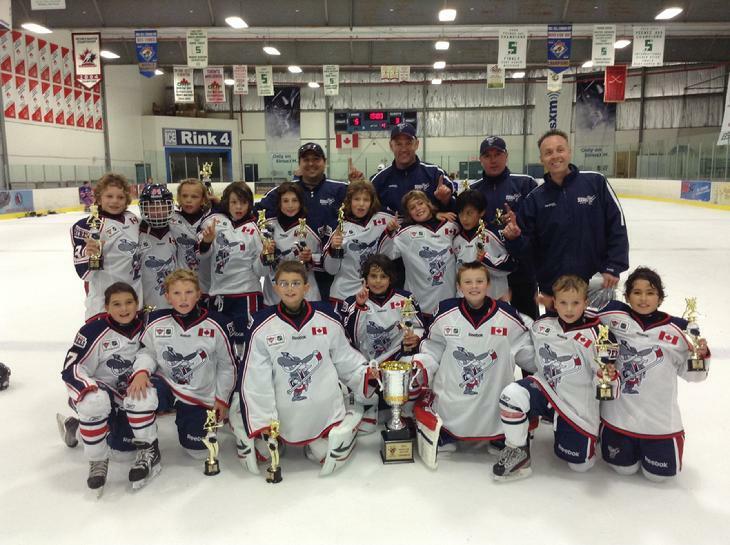 For the Minor Atom Team this was their 4th Tournament and their 4th Tournament Championship. The coaches congratulated all the players for their hard work and dedication and reminded them that when you play as a TEAM you win as a TEAM. 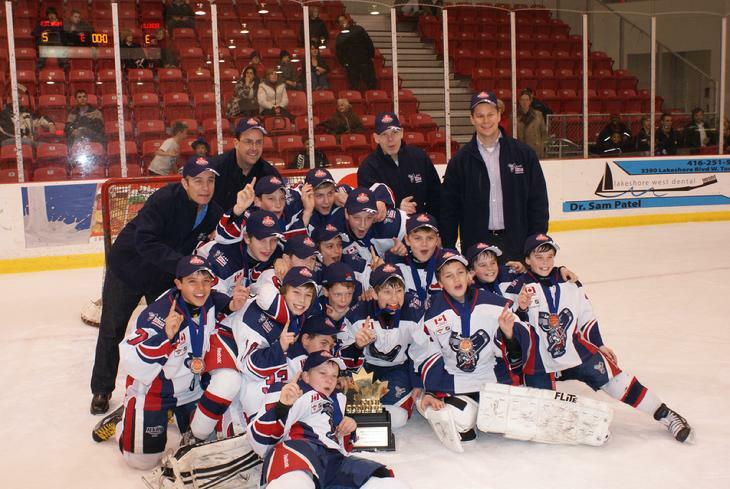 The Minor Atom Mississauga Rebels became the 2009 Toronto Marlboros Friendship Tournament Champions held in Toronto September 10-13, 2009. 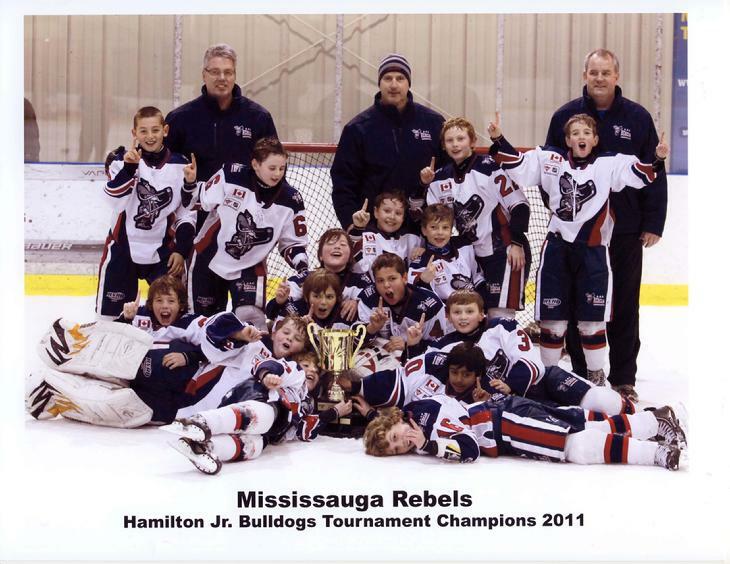 The Minor Atom Mississauga Rebels finished the Round Robin 4 and 0 and earned the Top Seed heading into the Quarter Finals. 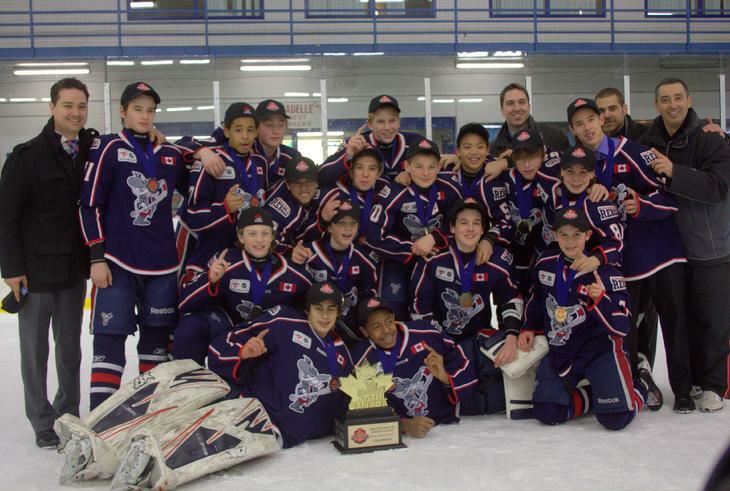 They proceeded to beat Oakville Rangers 3-1 in the Quarter Finals, defeated Vaughan Kings team 7-1 in the Semi Finals and defeated York Simcoe Express in the Championship Game 5-3.